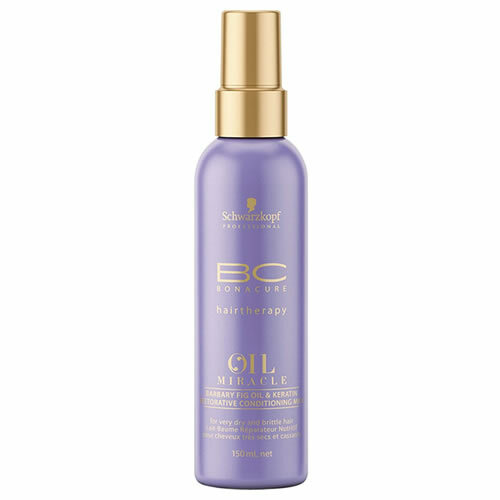 Schwarzkopf BC Oil Miracle Barbury Fig Oil & Keratin Conditioning Milk provides a quick route to some amazing restorative TLC for very dry and brittle hair. It provides an instant boost of conditioning power! It's been formulated with Barbary fig oil and micro-keratin to repair damage within hair and to then strengthen it without burdening. It is very effective at de-tangling and offers excellent anti-frizz and static control to improve comb-ability and reduce hair breakage. 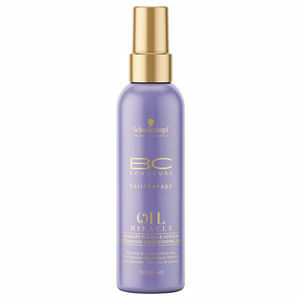 Simply spray from the mid-lengths to the ends of towel-dried hair and then comb through.